Question: I’m working on my tax return. What can I focus on to save money and make this easier for next year? Answer: By now, you’ve likely received most of the necessary information to prepare your return. 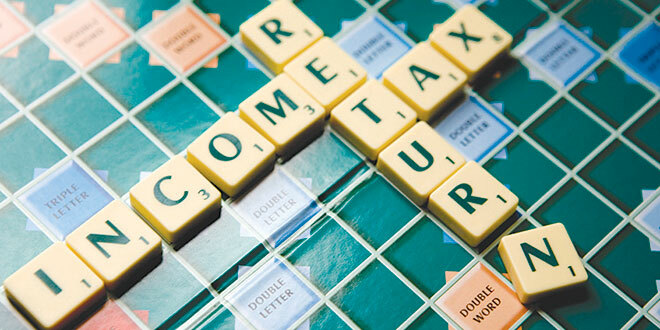 The next step is to concentrate on organizing and documenting taxable income and deductible expenses. If you’ve been diligent throughout the year with recordkeeping, the process shouldn’t be too overwhelming. For most of us, the days are gone when we could simply spend a weekend at the dining room table preparing our own tax returns. Years ago, my tax preparation ritual began with buying a pint of Ben & Jerry’s ice cream to fuel me through a weekend spent organizing records and filling out forms. As the tax code and life became more complex, it’s become more efficient and less fattening to enlist the help of professionals. If you’re not comfortable filing your own taxes, hire a professional. The peace of mind alone is worth it. Avoiding stress and frustration is always a plus. This is especially true if you have rental income, K-1 forms, and business expenses or have made gifts to charities or others. If you do decide to go it alone, the Internal Revenue Service publishes Federal Tax Rules, which is a 74,608-page book explaining income tax code and regulations. In 1995, the book was only 34,108 pages and has increased by an average of five pages per day (365 days time 19 years). As the Chief Financial Officer of our family, I find it helpful to make notes and keep track of activity throughout the year. Since my color-coded labeled filing system is not yet in place, we use notebooks, envelopes and a computer program to organize tax related activities. By keeping track of charitable donations, purchases subject to sales tax and all investment related activity as it occurs, by mid-March most of our reporting material is reviewed and ready to hand over to the CPA. Although the books are closed for 2013, there is one savings strategy you might be able to implement. If you have earned income for 2013, it’s not too late to contribute up to $5,500 to either a traditional or Roth IRA for 2013. If you’re over 50, you can contribute an extra $1,000. For the 2014 tax year, you can do the same and take full advantage of your ability to save for retirement and possibly reduce taxable income. Contributing as much as you can as early as possible allows these assets more time to grow and compound. According to the National Institute on Retirement Security, a whopping 45 percent of the 84 million households in the U.S. that are headed by working-age people (not retired) don’t own any pre-tax retirement accounts like IRA’s or 401(k)s. If appropriate, this is an important area of your financial life that merits evaluation. For 2013, most individuals will pay federal income taxes based on 2012 tax brackets ranging from 10 percent to a maximum of 35 percent. For 2014, a new 39.6 percent bracket applies along with a new 20 percent maximum tax rate on long-term capital gains and qualifying dividends. In some instances, high income earners will also have an additional 3.8 percent (net investment income surtax) added to the 20 percent capital gains rate. These changes may have a huge impact on your tax bill next year. The numbers are real and add up quickly. No one wants to pay more in taxes than necessary. By managing income and adjustments, you may be able to stay in a lower bracket. There are strategies that are worth looking at this year to help you avoid big surprises next year. One technique to consider is harvesting losses in your portfolio to offset any capital gains. Another strategy is to gift highly appreciated stock to family members to avoid realizing the capital gains on sales. You can make annual exclusion gifts of up to $14,000 per individual to as many people as you’d like each year. The recipient would have your low cost basis to report if they sold the stock but if he or she is in a lower tax bracket, it may be an efficient way of transferring wealth. Additionally, if you leave stock that has large capital gains to your heirs, they’ll benefit from a “step-up” in cost basis. The current market value on the date of your passing is their new basis. If you’re philanthropically inclined, gifts to IRS approved charities may be made by transferring shares of highly appreciated stock. You’ll receive benefit for the full deduction based on the fair market value of the stock on the date of the gift (within limits based on the type of organization and your income level) and capital gains will not apply to you or the charity. There are additional ways to structure planned giving using trusts that we are happy to explain in detail on an individual basis. According to the IRS, so far this tax season, the average federal refund is up three percent from last year at $3,034. USA Today reports that many will use this money to pay down debt. Make sure you’re not leaving any money on the table, ask for help. Stay focused and invest accordingly. This article provided by Darcie Guerin, CFP®, Associate Vice President, Investments & Branch Manager of Raymond James & Associates, Inc. Member New York Stock Exchange/SIPC 606 Bald Eagle Dr. Suite 401, Marco Island, FL 34145. She may be reached at 239-389-1041,darcie.guerin@raymondjames.com or www.raymondjames.com/Darcie. Please contact Darcie with any questions you would like to have answered in this column.